Drive is by an AC motor with inverter speed controller to a 3-speed mechanical gearbox. This gives very strong torque characteristics. Gear run in an oil bath for ultimate protection and longevity. The predetermining digital revolution counter allows an automatic slowdown to achieve an accurate angular stopping position via an electric brake. Tooling adjustable for straight and skewed slots. 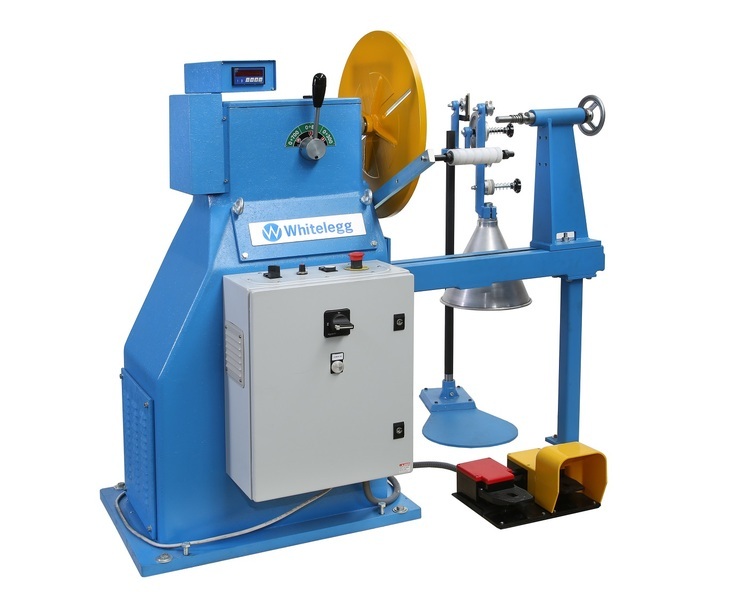 The machine is fitted with a 500 mm diameter faceplate and end support with revolving centre which allows it to be used for winding transformers and stator coils. Inclusive of one type TI wire tensioner and dereeler. Winding with two or three wires in parallel is possible which requires additional TI units. For armatures with very short slot span, special tooling is required.